Ayesha Takia tied a Rakhi to her Dor director Nagesh Kukunoor. 'Happy rakhi @nkukunoor my big bhaiya.much love! Most fun rakhi,' she tweeted with the picture (above). Gift a Rakhi to your brother right now! Mallika Sherawat is missing celebrating Raksha Bandhan with her brother. 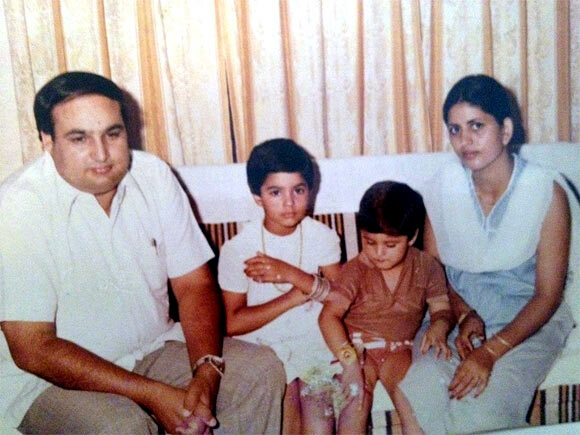 'Happy Raksha Bandhan, wish my brother vikram was with me today:(' she tweeted. Sonam Kapoor ‏is also missing her brother and cousins. 'Happy rakhee 2 my wonderful brothers karan,@moh_m, arjun, akshay, harsh, siddhant & jahaan. Wish I was in bombay 2 get my kharchie! Hee hee!' she updated. The posters of Jism 2, starring Indo-Canadian adult star Sunny Leone, have been removed from 75 BEST buses, 25 bus depots and all electricity poles in Mumbai. The posters was considered objectionable by Vidya Chavan, a Nationalist Congress Party (NCP) corporator, who complained to the mayor of Mumbai, Sunil Prabhu, and the commissioner of the BMC, the city's municipal corporation. Director Pooja Bhatt is rather amused by the move. 'The NCP MLC has ensured that Maharashtra will be free of any atrocities to women by removing the #Jism2 poster from the public domain! : ) As my friend Andre said,by pulling the posters of #Jism2 down NCP has ensured the image being burned into your consciousness FOREVER lol,' she tweeted. In fact, she thanked NCP. 'You are not a BRAND till a political party has used you for their 2 minutes of fame. Gracias NCP for giving #Jism2 cult status!' she added. WATCH: Sonakshi match steps with Prabhu Deva! The song Go Go Go Govinda, featuring Prabhu Deva and Sonakshi Sinha, from the film Oh My God is out. Sung by Shreya Ghoshal and Aman Trikha, the song is set against the Janmashtami festival. Not many actresses have been able to match steps with Prabhu Deva, and Sonakshi's effort shows.